Paper Mate Pens - Get a logo print on Ink Joy Quatro Fashion Pens. 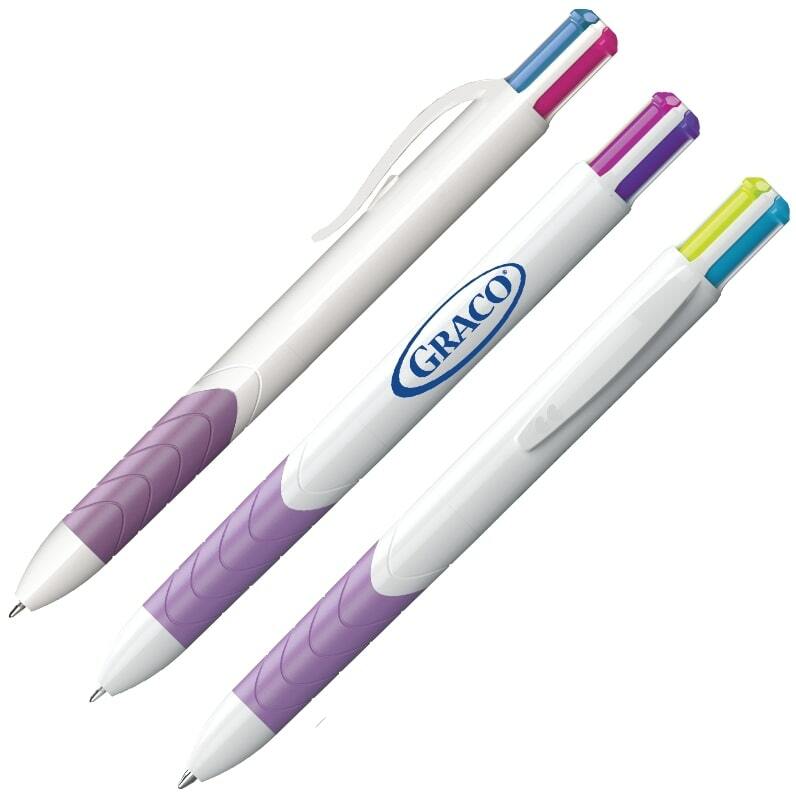 Four Color Ink Pen at a click Turquoise, Lime, Purple, Magenta Ink. Apps are conventions, conferences, marketing, promotional items. Technical use stand points, Business, Fashion & Women related.